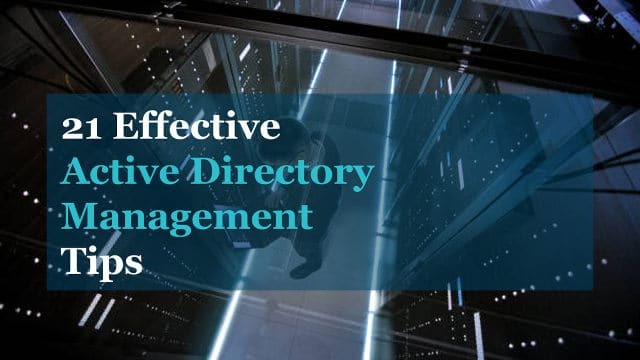 This is the most comprehensive list of Active Directory Management Tips online. In this article I will share my tips on, design, naming conventions, automation, AD cleanup, monitoring, checking Active Directory Health and much more. If you don’t have good Active Directory organization unit (OU) design you’re going to have problems. First, I’ll quickly explain the three main reasons why good OU design is so important. Having good OU design will make implementing and managing group policies much easier. I’ve seen a drastic decrease in issues with proper OU design. Does your helpdesk need to reset passwords, add and remove computers from the domain? Do you need non admins to manage groups? Does HR need access to update user accounts? Being able to delegate rights at a granular level and auditing those rights is a must. Proper OU design will allow you to easily delegate permissions at a granular level. Modifying user accounts, using LDAP queries, reporting and bulk changes are all common administrative tasks. If Active Directory is a mess, these simple day to day tasks can become difficult for the whole team. Now that I’ve explained why OU design is so important, let me show you my tips for good OU design. Do not lump users and computers into the same OU, this is a Microsoft best practice. Instead, create a new OU for Users and an OU for computers. Next, create sub OU’s for each department. Do this for both computers and users. I’ll create an OU for each one of these functions. That’s it for organizing users and computers. It’s very simple, flexible and easy to navigate. The Systems Management Bundle is the ultimate monitoring solution for virtual servers, applications, storage, and web performance monitoring. Get instant visibility across your systems to help you quickly diagnose and troubleshoot performance problems. Infrastructure monitoring for on-prem and cloud technology. 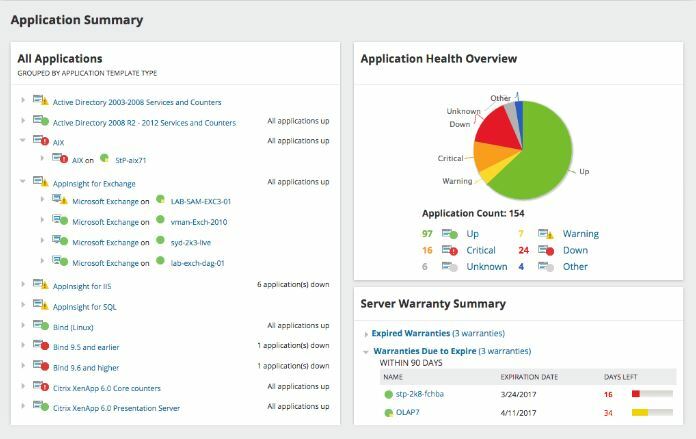 What I like best about SolarWinds is it's quick and easy setup, and easy to understand dashboards. Here is one example that demonstrates the flexibility of this design. I have a domain policy that locks the computers after 15 minutes of inactivity. This became a problem for conference room computers, users would be teaching or giving a presentation and the screen would keep locking. To fix this I just created a sub OU called conference room computers and moved the affected computers into this OU. I created a new Group Policy object that changed the lockout time to 60 minutes and applied it to this new OU. Now, these computers still inherit the policies from its parent while applying the new timeout policy. At first, I put security groups into department folders. What happened was, I would have groups that were not department specific. Where do those go? They would end up in various places and then no one could find them. To fix this mess I created a group just for security groups. Just like users and computers, I can create sub OU’s to group department or functional groups together. This works great, I know exactly where all the groups are and can organize them any way I want with sub OUs. You want to keep your servers in there own OU. You will have group policies that need to apply only to servers and not workstations and vice versa. I can also create sub OUs to group specific servers for whatever need. Now I can apply policies to all the servers or specific ones. 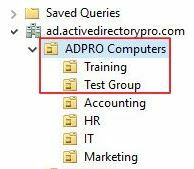 By keeping Active Directory organized all the admins will know how to easily find objects. I have the flexibility to apply group policies, delegate control and administer the objects. 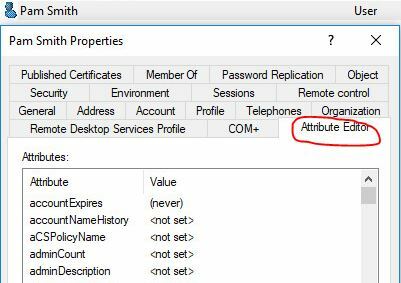 No matter if your organization is big or small you need to standardize the naming of Active Directory objects. Here are my tips for good naming conventions. The most popular option is users first initial + last name. I’ll use “Joe Smith” as an example. The next popular option is complete first name + last name (use a special character to separate the name). Both methods work well and are user friendly. The one problem you may run into is duplicate user names. To fix this just add in the middle initial. For example, I have Joe Smith, then I get a new employee with the name of Jane Smith. The user name for Jane will be the same as Joe so I need to use Jane’s middle initial. I would avoid naming conventions that truncate names or include numbers. It’s just too confusing for everyone. Here is my template for creating groups. Department or group – You can use the full department name or an abbreviation. It some cases it may not be a specific department it may be users from various departments so just come up with a name for this group. Group Prefix: When you create a group you must select a group type, I use a prefix to define what group I’m using. Example 1 – Helpdesk staff needs rights to reset passwords. Once I got all my groups renamed following this naming convention it made it much easier to find and use them. Active Directory is the heart of the network, if it stops beating then everything else dies. I know FREE tools are great (I use plenty of them) but when it comes to monitoring I rely on professional tools. It saves me serious time and it provides other IT staff with easy to read metrics on servers and applications. 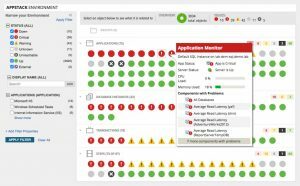 SolarWinds Server & Application Monitor – I like this tool as it allows me to monitor any application on any server. Monitors all the components and services that make Active Directory run. If Active Directory is having issues or is slow this program will quickly identify the issue. SolarWinds Network Performance Monitor – Excellent tool for monitoring the network, bandwidth, CPU, Memory and many more metrics on any device that supports SNMP. Netfort Languardian – This is a deep packet inspection program that monitors the network and user activity. Although it may be considered a networking tool it has tons of use cases. I can find out who deleted a file, monitor DNS, find rouge DNS servers, monitor bandwidth to servers and active directory and much more. ManageEngine Audit Plus – Provides real time auditing to Active Directory. Track changes to AD objects, user activity, DNS, GPO and more. There are plenty of professional tools on the market, I recommend you search around and find what best fits your needs. Server core has a smaller footprint, is more secure and doesn’t require as many updates. I was skeptical at first when Microsoft said this is the preferred install option. But after running core servers for a few years they ROCK. They are stable, and they really do have fewer updates. Unfortunately, they don’t work in every situation. Not all 3rd party applications support core servers. They work great for Windows servers such as domain controllers, DHCP, DNS. So, install core servers when you can and reap the benefits. Issues with domain controllers, DNS, and replication are going to cause all kinds of problem. Here are some quick tips for checking the health of Active Directory. Dcdiag is a command line tool that analyzes the state of domain controllers in a forest or enterprise and reports any problems. 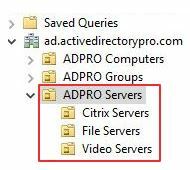 It is built into most Windows server operating systems, it is also included if you have the ADDS or ADLDS role installed. 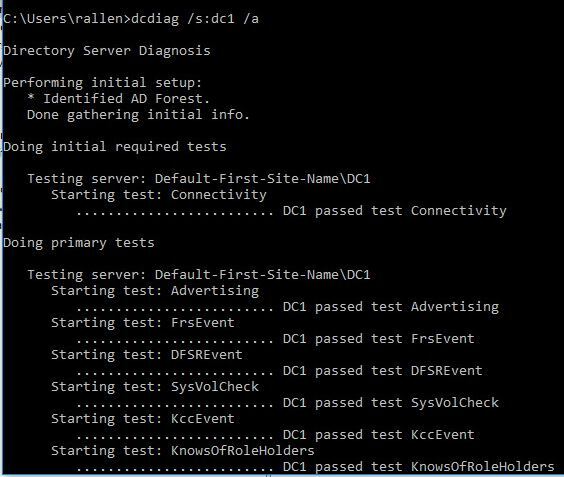 Use the following command to analyze the health of your domain controllers. This will run several tests on various components and services that run on a domain controller. You will get a fail on any tested that does not pass. Use the following command to test replication between your domain controllers. DO NOT use individual accounts to apply permissions on resources (printers, shared folders, applications, calendar, etc). This makes adding and removing users to resources much easier. It also helps with reporting and audits. Once the groups are set up on the resources you don’t have to go to each resource every time to modify access. You just update the group. Using the group naming convention from tip# 3 this works like a charm. I have a folder called training in the sales department. Then I’ll add this group to the permissions on this folder. Now anytime I want to give permissions or revoke a user’s rights to this folder I just modify the members of this group. I can use the method for all resources. Over time, Active Directory will have obsolete users, computers and group accounts. To keep Active Directory secure and tidy you need to find these obsolete accounts and remove them. There are plenty of scripts and GUI tools available that help with finding and removing old accounts. I have some cleanup tools available on my tools and resource page. I run this cleanup process once a month. It’s frustrating to see objects in Active Directory and have no idea what they are for. Even if you are using a good naming convention I still like to add descriptions to objects. Obviously not all objects, but servers, groups, service accounts and generic accounts I put descriptions on them. Not only does this help me quickly identify the use of the object it helps the whole team understand. You can see in the screenshots below I’ve added descriptions to some groups and service accounts. 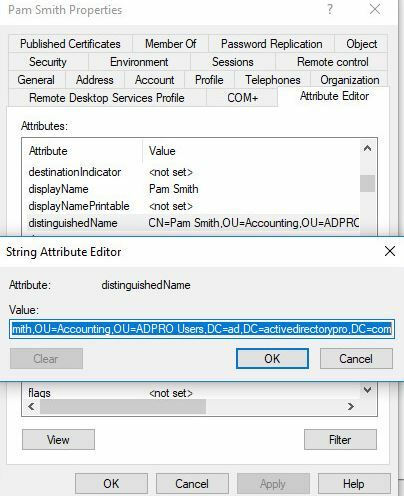 Here are some non standard accounts, again using the description field I can easily see in Active Directory what these are for. Again, I don’t do this for all objects, mainly groups, servers, and non standard accounts. It’s another big time saver. 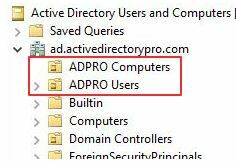 Active Directory delegation is important to understand so that permissions can be granted without adding users to privileged groups like Domain admins. This helps with security and compliance. Here are a few examples why you would need to delegate rights. Give rights to add and remove computers from domains. In this video, I will give our helpdesk group the rights to reset passwords. Active Directory auditing is the process of logging changes and events in Active Directory. Auditing is important for security and compliance reasons. 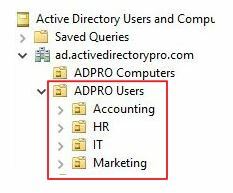 Before you can audit Active Directory, you must first set up an audit policy. The above steps are a high level overview. Random account lockouts are not only frustrating to the end users but for helpdesk and the admin who is troubleshooting it. Knowing how to track down the source of account lockouts is something all systems admins need to know. Mobile devices and user accounts set to run a service are the most common reasons for account lockouts. I would encourage you to automate anything that you can. 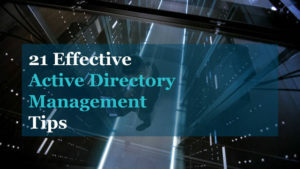 Active directory administration involves many routine tasks such as user account creations, modifications, account removals, computer management, security and so on. Some of these day to day tasks are very time consuming. Most routine tasks can be automated to make you more efficient at your job. It may be difficult to automate the entire process of some tasks but automate what you can. Automating any part of a repetitive task will save time. PowerShell is a tool for automating a lot of these tasks. My team recently automated the whole user account creation process using PowerShell. This involved many steps such as creating the account, adding to groups, creating office 365 mailbox and creating a personal shared folder. Creating user accounts has never been easier. Active Directory is an LDAP (Lightweight directory access protocol) directory service, this means all access to objects occurs through LDAP. LDAP uses paths to locate objects, a full path of an object is defined by its distinguished name. When integrating other systems with Active Directory it often requires some LDAP information. Unfortunately, every program does this different. Having a little knowledge of distinguished paths will help with integrating other systems with Active Directory. Repeat these steps for any other object that is needed. There will be a time when you need to run a task, script or program with a user account (domain or local). These are referred to as service accounts. First of all, don’t use a domain admin account or any other user account for these. Instead, create a new account to use for each specific service. Your user accounts should have a policy to change their password every x days. If an account is being used and it’s password changes that service is going to stop working. Don’t use one account for multiple services. No, I’m not talking about delegating rights to helpdesk. Over the years the responsibilities of System and network administrators have skyrocketed. Some system administrators are responsible for almost everything from the server down to a printer. To save your sanity be willing to delegate some tasks to others outside of your team. I was hesitant on this for years. I worked hard to get everything in order, procedures down and keep systems running 24/7. BUT as responsibilities grew it reached a point where productivity was down. New projects were slow to roll out. To resolve this, I learned that it was OK to delegate tasks outside of my team. Talk to supervisors, talk to other staff members that are willing to take on these roles. If it doesn’t work out simply revoke their rights and take the task back over (I’ve had to do this a few times). 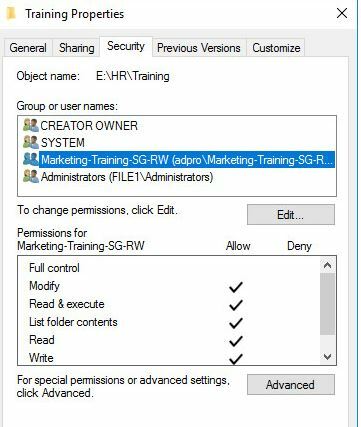 Restricted groups allow you to centrally manage who is a member of local groups on workstations and servers. Once common use of this is to add an Active Directory group into the local administrator’s group on all computers. This is an easy way to give your helpdesk or other IT staff admin rights on all the workstations. It’s also a great way to prevent users or other staff from adding users to the local admin group. Regular users should not have admin rights, I’ve seen this get way out of control. You can use restricted groups to put a stop to this. 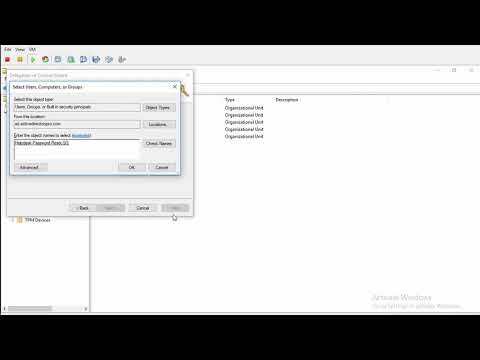 Here is a video tutorial demonstrating adding a domain group into the local administration’s group on domain joined computers. Why should you care about the time? If the time is not synchronized on all domain controllers, member servers and machines you will encounter problems. So how do you set the time correctly? All domain join machines will get its time from the PDC. 2 Disable time synchronization between the host system and guest operating systems. VMs tend to synchronize time with the hosts (VMware or Hyper-v). It’s best practice to disable this so domain joined systems will continue to use the domain hierarchy for time synchronization. I remember fighting time issues until we figured out the VMware hosts where changing time and getting out of sync or the PDC. You may read about setting time with Group Policy. Unless you have jacked around with the time settings on computers you don’t need this. Domain joined computers will by default sync with the PDC. 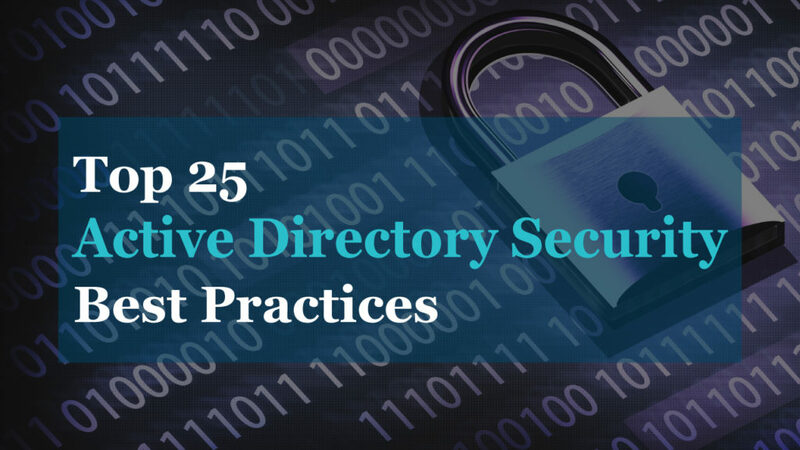 Active directory is critical to authenticating users, authorized access to many resources such as email, printers, files, remote access and much more. So, it would make sense to document Active Directory. The Microsoft Active Directory Topology Diagrammer is a handy little tool that helps with documentation. It’s an easy way to control and apply settings on all domain joined computers. It can even be used to deploy software. To be successful with group policy you need to follow a few rules. Here are my group policy tips. Changes to Active Directory and group policy can disrupt services and effect business operations. It’s important to put these changes through a change control process to avoid any downtime. It’s also helpful to document your changes in case something goes wrong, and you need to roll back the changes. When making critical changes I recommend the following. I would advise making the change process as simple as possible. Nothing slows progress down more than a bunch of red tape and paperwork. 21. Use Active Directory as Your Centralized Authentication Source for Everything. If you’re on-premise or cloud-based applications support Active Directory Authentication, then use it. It makes authorizations and access to resources so much easier when it’s controlled centrally by Active Directory. It’s also a huge plus for the end users, they can authenticate with just one username and password. It’s a very very good tutorial. Thanks ! In our company we have this OU design but it is not good for us. We have 60 city and we add city frequently. 1 -3 per years. Each city can have multiple office. Yes that would work, I would definitely separate the users and computers into their own OUs. Depending on how you need to apply group policies you can also organize it like so. Then under department and another OU for each City. Then you can apply policies based on department. Question/comment on #6: We’ve been exploring (and are a good ways into implementing) Role-Based Access Control and using AD groups to facilitate. As the number of resources that AD groups need to be created for increases, it is resulting in transitive membership to a large number of AD groups for some staff. The resulting security tokens are so large now that it exceeds the http header size limit when trying to authenticate to some internal web apps/sites. You are probably nesting groups, is that correct? You should be fine up to 1000 groups. Yes, we are nesting groups. 1000 is the number we were anticipating based on research, but a few staff (mainly administrators that are in many groups) are at ~375 right now (total transitive membership), and those individuals appear to be consistently busting http header size limits for web apps utilizing Kerberos. Using Fiddler to examine, we’re confirming the header size limit is being exceeded in these cases. Did a little research on token bloat and the common solution is to reduce a users group membership. This technet article has a few ideas worth checking out. There is a link towards the bottom for dealing with HTTP and header too long errors. To reduce group membership take a look at Dynamic Access Control, this gives you the ability to grant access based on user or computer attributes. I would like to appreciate you for such a hard work and sharing it freely for beginners like me to catch up with your years of hard work, its indeed a detailed description thank you very much!!! 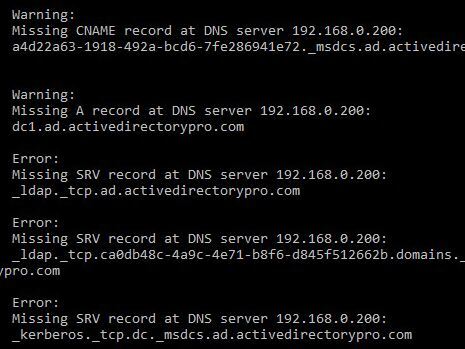 very nice tutorial and I have a question, in point 5, which command did you used to know where were the missing entries at the DNS server? Had to post a comment as this is just……. WOW!